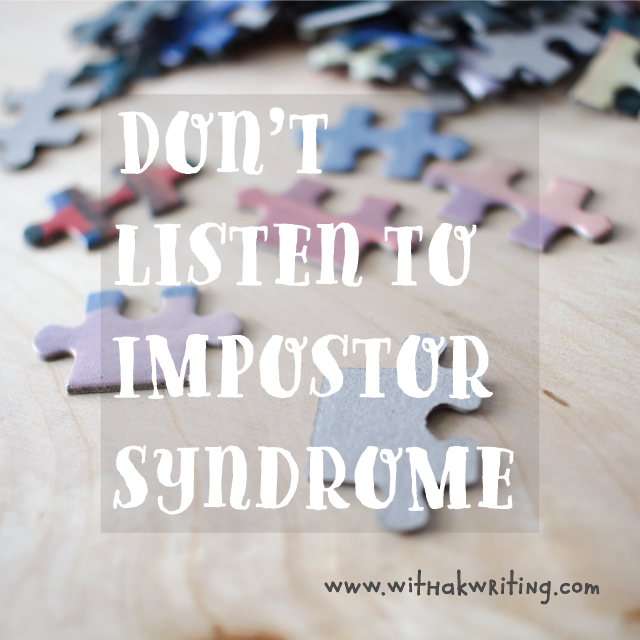 Don't listen to Impostor Syndrome; You aren't JUST anything. You can follow the podcast on iTunes, Player FM, Google Play, Spotify and more. Are you living in fear that you'll be "found out" as a fraud? You're not alone...and you're probably completely off base too. 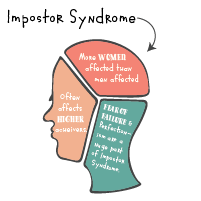 Impostor syndrome describes high-achieving individuals who have an inability to internalize their accomplishments and a persistent fear of being exposed as a “fraud”. Sound familiar? It should; a lot of entrepreneurs, creatives & world changers have some form of impostor syndrome. We work hard, & we do cool things. 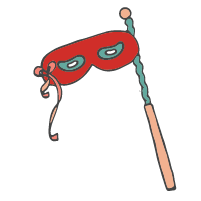 Then we hear lots of kudos for our job well done…and instead of feeling proud, we feel like it’s time to hide, because we feel like we’re faking it – putting on a mask that doesn’t belong to us. And at any moment, they WILL ALL FIND OUT THAT IT’S ALL A BIG, FAKE MASK and not the real me at all! Since the term was created in 1978 by clinical psychologists Pauline R. Clance and Suzanne A. Imes, it’s shown up everywhere intelligent & talented women create. Writers, academics, business women & writers. Creators, teachers, helpers & scientists: we are none of us immune to Impostor Syndrome. Maya Angelou & Tina Fey even have it, for crying out loud! Many studies show that it is particularly common among high achieving women, compared to men. Anybody surprised by that? No? Okay – moving on. My clients have it too. 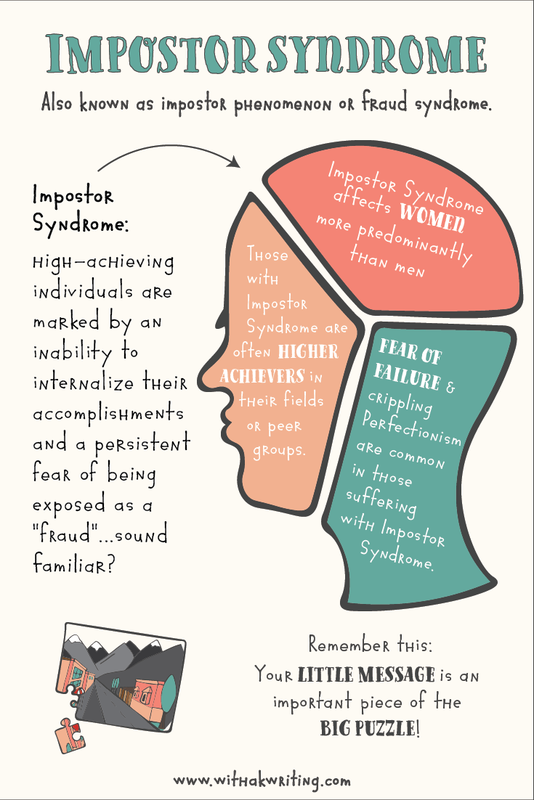 Click to see a handy-dandy Infographic on Impostor Syndrome. Nope. Stop right there! I’m not even going to let you finish that thought, kitten. 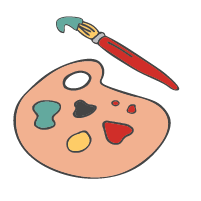 Repeat after me: There is no human, creative endeavour that is “just” anything. It is all amazing. If you create joy – you are amazing; if you create ease – you are amazing; if you offer community for a group of people with a common goal? You. Are. Amazing! Whatever you create – whatever you do – is a part of the human endeavour, and the experience you accumulate while you are doing it is real. The impact you have while you are transferring that expertise to others is enormous. You simply have to own it. Ask yourself what you really create, & stop believing that lie that says we must be THE expert on top of all history & future experts in order to be proud of our Voice & accomplishments. Your expertise is real! If that statement stresses you out, read this post I wrote about how (& why) you can freely claim it. Because seriously. Every little thing adds up to a far greater thing. I talked about how important it is for us to realistically effect the world around us last week, & I routinely focus on what kind of impact business owners want to have on the world when I help them to decide what their message & revenue streams will look like…but I can’t say it enough. But my goodness, can’t we cause an impact together, though! 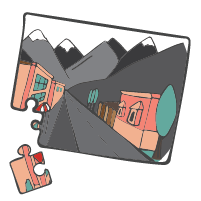 It’s like the world we want to see is a giant puzzle being built, & every little piece needs to show up in order to build the thing. Who are you to stay home, when we need you so much? When you see your own Impostor Syndrome in this way, maybe you can tell it where to go. There are ways you can work to trust your voice more, and there are people like me out here who will shout about it at you until it sinks in (sorry, not sorry), but it’s really down to you to kick this thing. You need to see that what you offer is real, allow that your experiences give you a valuable perspective on the world, & understand that the passion you have at the root of your Great Big Why turns that perspective into something even more important in the world. Remember that you have experience, you’re offering something of service (even if it’s “just…” in your mind), & know that it’s not all on your shoulders. You’re an important piece of the puzzle, but you aren’t out there all alone. And then get on with it already! Because we need you & your message more than we need you to be a nice, meek little lady. You are so welcome, Christiana! This is so relevant to me right now as I’m prepping to launch my site. All the things to do, plan, and be can be quite overwhelming at times. A great post, thank you. Thanks! I’m glad you got something from it.